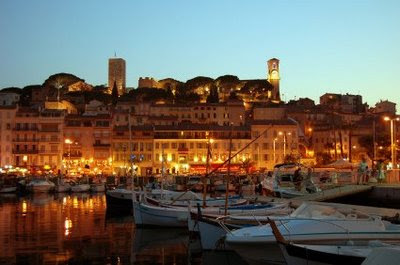 The Cowan Report: H&F Council Tight Lipped Concerning Another Tax Payer Funded Trip To French Riviera - What Other Neighbourhoods Are Being Offered To Speculators? H&F Council Tight Lipped Concerning Another Tax Payer Funded Trip To French Riviera - What Other Neighbourhoods Are Being Offered To Speculators? This time last year I reported that a senior Conservative Councillor had led a team of H&F Council officers on a trip to Cannes on the French Riviera - all paid for by local tax payers. The official explanation for the trip was that they’d gone to “unlock contentious development sites” in Hammersmith and Fulham. Well, they’ve been back to the sunny resort again this year – returning to the UK a few days ago. What’s unusual is that there’s been no response to my query about the jaunt despite it being sent on 12th February. We do know that the Conservative run Council have some highly "contentious developments sites" in mind including the Goldhawk Industrial Estate along with many local people's homes. So, this lack of response raises further concerns and leads to the question; what does H&F Council hope to hide from Hammersmith and Fulham's residents? I think residents have a right to answers to the questions I raise below – after all, it is those same residents who are being asked to put their hands in their pockets to pay for this luxury jaunt. The list of all sites in the borough the delegation plan to discuss". I'll let you know when I get a response. Have we really paid for a bunch of our councillors to stay in the south of France to discuss selling off people's homes? What are the local press doing not reporting this!? That something Boris Johnson did took the taxpayer money and pay for hotel room in Birmingham.has he was at the Conservatives Party conference in September 2008.